This can be found in Control Panel\Hardware and Sound\Power Options\System Settings or simply search Power under Control Panel and you will find it. On the left menu you will then have to click on “Choose what the power button do”. 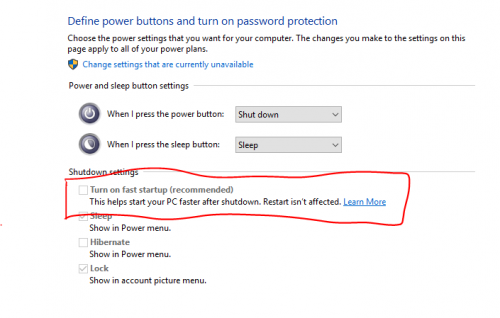 You will then see the extremely recommended awesome brilliant option called fast startup, disable it. I upgraded my computer to Windows 10 slightly after its release. 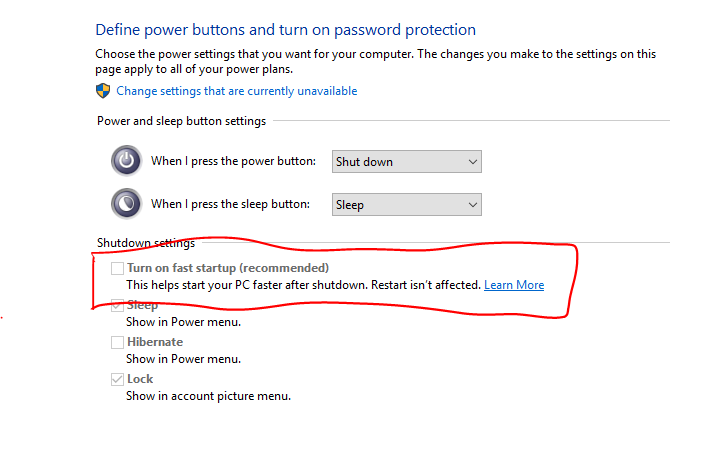 My computer faced this startup problem after I upgraded. Thank you Microsoft. Thank you Windows 10. Thank you to myself for finally finding out how to fix this annoying issue. The coolest and best windows I think was XP! The rest already have enough brese not to be as good!